Is the A/C feeling less than adequate? If so, then hitch a ride to Ryutosen. Located between Ureshino and Omura-shi, Nagasaki, Ryutosen boasts an 18-meter high waterfall (minus the patented Japanese cement job) which cascades into a pool that reportedly measures 23 meters in depth. 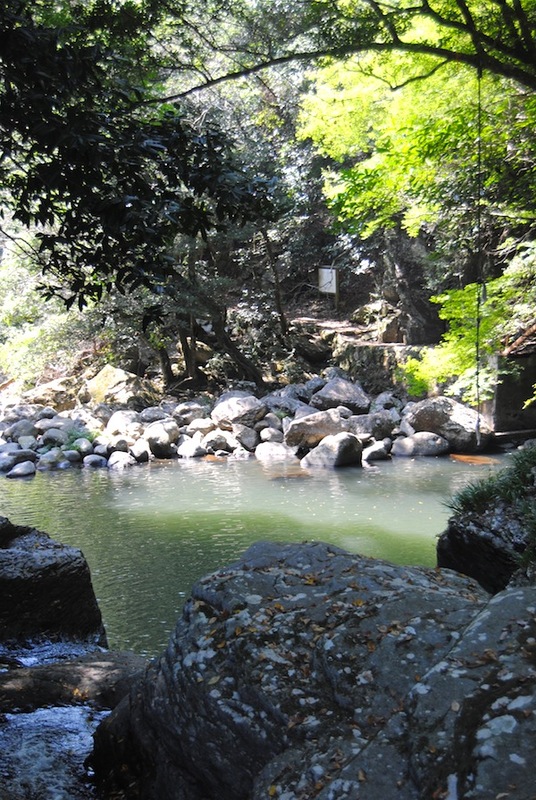 Wander about 90 meters downstream and behold a second deep pool surrounded by rocks of various heights. This is the place for those seeking adventure. A word of caution: People have died at Ryutosen. 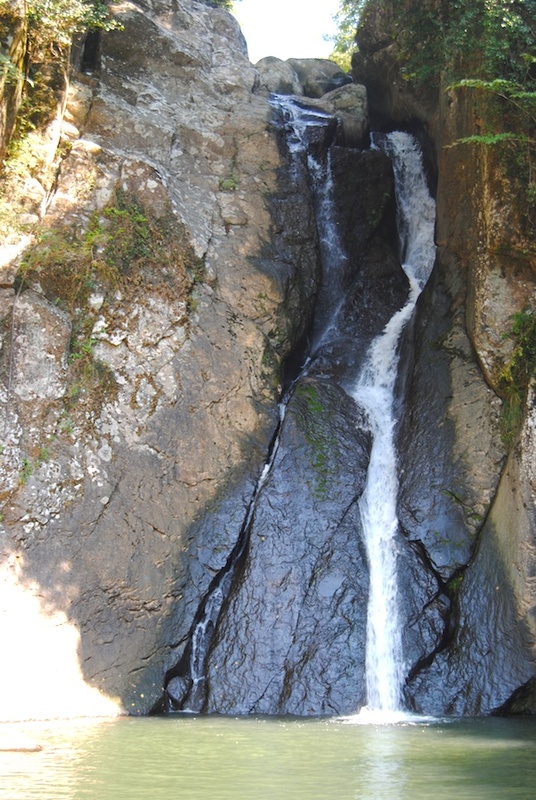 In June of 2004, A U.S. serviceman fell to his death while trying to climb the cliff along the waterfall. Please use common sense and heed official advice. Take a left at Route 6. You will stay on this for about a 20 minute drive through the countryside. Eventually, you will see a school. Turn right here. Follow the road as it curves to the right. You will see a brown farmhouse on your right. Turn left right after/at this house. This road will take you through some lovely grasslands, most of which belong to the Japanese Self Defense Forces. Follow the road. Turn left at the tea farm, following the signs for “Ikoi no Hiroba”. Stay on this road (ignore the smaller turn offs). You’ve made it! Park your car and walk down the stairs to what will hopefully be a wonderful experience.